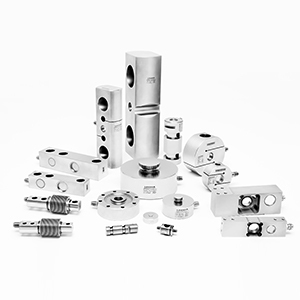 Laumas Elettronica offers a full range of durable, precision load cells and mounting kits for nearly any application. 16 different load cell product lines including single point, compression, tension, shear beam, double shear beam, bending beam, column, pin, foot brake, anchor, pre-amplified, and wire rope measuring, as well as custom products and false cells for level measurement are available via GH Binroth from Italy’s premier weight measurement instrument company. 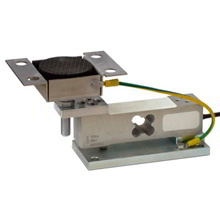 Single point load cells for platforms ranging from 150 to 1,200 millimeters. 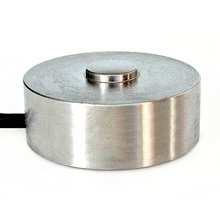 Constructed of aluminum alloy, stainless steel, and steel, Laumas single point load cells can measure weights from as little as .25 kilograms up to 2,000 kilograms. 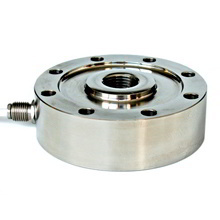 Compression load cells for low profile platforms constructed of stainless steel. 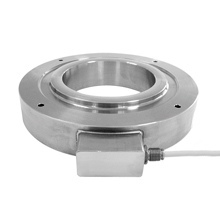 Laumas compression load cells can measure weights from 200 kilograms up to 750,000 kilograms. 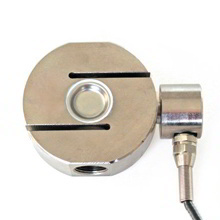 Tension load cells are constructed from a variety of steel materials and can measure weights from as little as 15 kilograms up to 2500,000 kilograms. 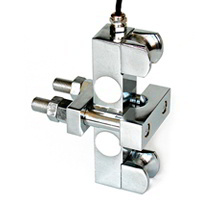 Tension and compression load cells for bidirectional needs. Constructed of stainless and alloy steel, these Laumas load cells can measure weights from 500 kilograms up to 200,000 kilograms. 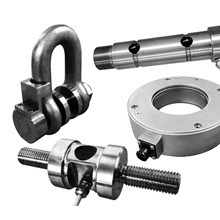 Load cell mounting kits for a range of applications including rollers, tanks, hoppers, etc. 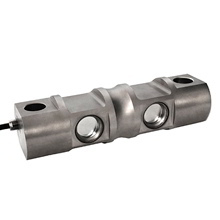 Products constructed from stainless steel and steel alloy with adjustable features designed to compensate for misalignment. 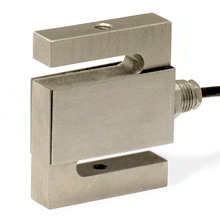 Shear beam load cells are constructed of nickel-plated steel alloy and special steel. Products can measure weights from 9,000 kilograms up to 27,000 kilograms. 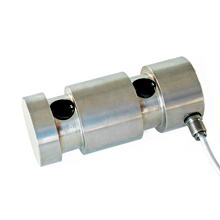 Column load cells are constructed of steel alloy and stainless steel with the capacity to measure weights from 15,000 kilograms up to 60,000 kilograms. 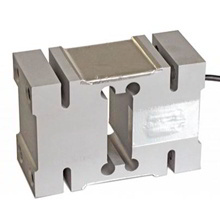 Foot break load cells are constructed of aluminum with the capacity to measure weights at 100 kilograms. 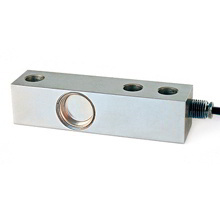 Anchor load cells are constructed of stainless steel with the capacity to measure weights from 30,000 kilograms up to 250,000 kilograms. 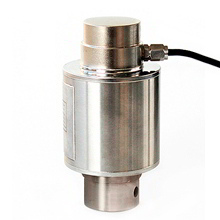 Pre-amplified load cells for platforms ranging from 400 to 600 millimeters with an 0-10VDC output. 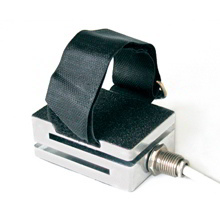 Constructed of aluminum alloy and special steel, Laumas pre-amplified load cells can measure weights from as little as 10 kilograms up to 2,500 kilograms. Wire rope measuring load cells are constructed of special steel and suitable as load limiter for lifting equipment and rapid mounting. 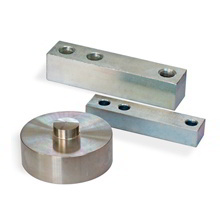 These Laumas load cells have the capacity to measure weights from 2,000 kilograms up to 40,000 kilograms. Level measurements false cells are constructed of galvanized and stainless steel. 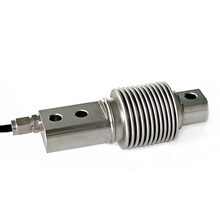 Products are used in combination with load cells to measure the level of liquid of weighing powder products that do not require high degree of precision.